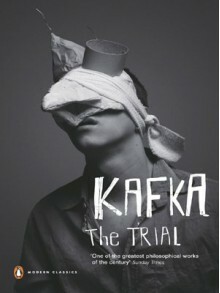 Presents a psychological trip into the life of one Joseph K, an ordinary man who wakes up one day to find himself accused of a crime he did not commit, a crime whose nature is never revealed to him. Once arrested, he is released, but must report to court on a regular basis-an event that proves maddening, as nothing is ever resolved. "Like a dog." Excuse me while I have a week or two trying to come up with something to say about this beyond long winded, nightmarish, horrifically brilliant.